Anthony Miocic is the coach of Jacobs High School and a USAU Illinois Youth State Coordinator. 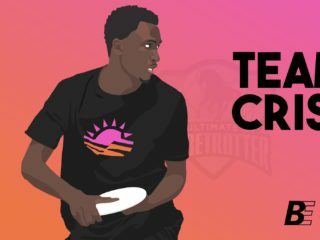 He approached Skyd with an interest in outlining some of what goes on in Illinois Youth Ultimate and brought to us an account of two teams with a great rivalry. We also pleased to present the voices of two high school students from these rival programs. Cheeseburgers. If I had to pinpoint one moment when I knew these two programs had respect for each other, it’d have to be when Neuqua bought Jacobs cheeseburgers. Three years ago both programs were new to the high school circuit in Chicago, but after Jacobs defeated an unspirited yet talented team in the unsanctioned state tournament, Neuqua responded by bringing McDonalds cheeseburgers for the entire Jacobs team. I love cheeseburgers, and after that moment I loved Neuqua Valley High School. Since then, both programs have continued to grow, develop, foster new up-and-coming Ultimate players, and in a way found their own successes. Neuqua’s success in recruiting is something USA Ultimate should display, oh wait…check out the Spring edition of the magazine and you’ll see what I’m talking about. Jacobs has gone from a team with total disregard for strategy to playing with such flow and pinpoint accurate throws that all of our players are ready for the college scene. During every game I’m proud of my boys, and the newly formed girls team, for the strides they take and the new concepts they learn. I think they are the best group of youth Ultimate players I’ve ever seen step onto a field. Yet, it’s the moment when these two teams meet that pure Ultimate shines through in the Chicagoland area, and I am proud of the growth Chicago has had overall in the last three years. As a coach I can see the determination my kids bring when they know they’re facing Neuqua. I can hear Java (Neuqua Valley’s coach) yelling, “Let’s go. They’re a good team. Let’s go.” Players are pumped, coaches are anxious, and the parents and fans know they’re in for a treat. During the summer months many of these kids are teammates, throughout the year they’re facebook friends, but when spring hits they’re rivals…just rivals that respect the crud out of each other. It’s visible in the hugs kids give to each other before the game, the inside jokes they laugh at, the special handshakes the coaches have with opposing players, the Neuqua wristbands worn by Jacobs players, and the blinding gold Jacobs tear-away pants some Neuqua players sport on the sidelines. It’s evident, they’re friends…but it’s also evident, they’re going to fight to the death! Ben Rehmann of the Wisconsin Hodags is a Neuqua grad and team founder. This year the two teams finally had an opportunity to play each other in the finals at the Illinois High School State Championship. Every point was a battle, almost every catch was contested, but there was one moment that stood out as a prime example of the rivalry. I have a 15 year old 6’4” curly haired beast I call Chuckles who loves to go deep. He had a brilliant, perfectly timed aerial attack over three huge Neuqua kids, one of them my kids have dubbed “Norgaard, the Impaler!” that exploded the game wide open. This game looked like a college Ultimate game, and I was so proud of every person on and off that field that made it possible. Chuckle’s phenomenal grab tied the score 5-5, but Neuqua was still up one break. Neuqua ended up winning 13-9, and it was a nice victory. It was the first hot day in Chicago and my players were not prepared for the heat and the conditioning necessary for this game. 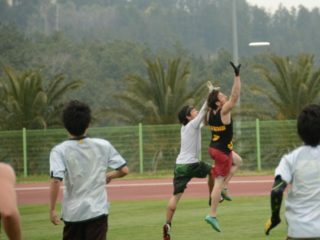 My main playmaker almost broke his back going up for a disc. My bench wasn’t as developed as I’d like, and Neuqua deserved the win. I learned a lot as a coach in that game, and I was proud of so many things from my boys. Yet, my proudest moment was the respect and competition they brought to that game and all games that season. As I approach my fourth year of high school ultimate I have built up a few expectations for each year. One is to improve my game, the second is to have success within the team, and the last is to play Jacobs. This is not your everyday rivalry with two teams set to kill, it is a rivalry that contains a lot of spirit and yet a lot of competition. To Neuqua, Jacobs proves every year to be the greatest competition in the Chicago-land area. To Me, Jacobs High provides the drive for self improvement especially when I mark up on my “nemesis” Jan.
Last year, Jan and I met at one of the first games of the season and that is when I knew it was going to be a rivalry within a rivalry. Jan has what it takes to push anyone who marks up against him to the limits. Throughout the year we got to know each other and both tried out for The Micro Machines. Playing with Jan on the Micro Machines proved to me that during the season someone can be your biggest downfall but during the club season they could be the one who lifts you up and helps combat whatever is in your way. The Micro Machines, now team ILL, is the main reason why I love playing Jacobs. Throughout the summer season, I competed side by side to many Jacobs’s players and I wouldn’t have it any other way. This drive for good spirit shown every game is rooted within guidance by their coach. Tony has a love for the game, he does not have a tolerance for poor sportsmanship. Tony’s coaching style has made one of the biggest impacts on my ultimate game, through the ways he pushes self improvement. He stresses that you CAN change what you do not like about your game with time and dedication. Without Tony, Jan, and the Jacobs gang, I would not be writing this article today. 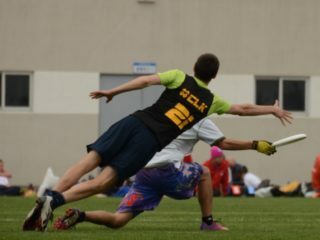 After the 2011 high school ultimate season ended, it’s clear that Chicago is beginning to pump out Ultimate talent at a higher level than ever before. The two power houses from Illinois come from completely different backgrounds. There’s Jacobs High School that matures its 20-30 member base over each year and Neuqua Valley High School that funnels its myriad of squads from about 4 and a half thousand students. But when you see both of these teams on the same field, there’s an unreal level of intensity that erupts right from the first pull. From a competitive standpoint, all buddy-buddy feelings are put aside when we (Jacobs) prepare to throw down with Neuqua. 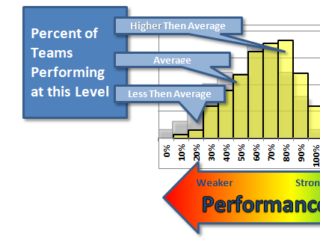 Only when we play Neuqua do we truly get amped and grind out every bit of energy we have to make a simple cut. The field seems to stretch itself out and every under cut makes me feel like we’ve only gained 2 yards. But there’s a mutual respect and determination from both offense and defense where every dump or deep cut is aggressively fought for. It gets physical, but never chippy. This is a case where spirit of the game shines. Both teams understand they have skills and athleticism, but uphold the highest amount of respect for the game. You’d be surprised how cool our heads are even with the score tied. Of course there are fouls, but neither team takes advantage of the rules in order to gain an extra step. From my freshman year when I first played Neuqua to each and every time we have played them since, I stand on the endzone line with a different mindset compared to every other team we play. I was lucky enough to watch the NC regional finals between Carleton and Wisconsin and I feel as though our mentality is similar to theirs during the game. You DO NOT want to let that other team beat you. With both of our talent pools, there’s too much pride at stake. Population wise: Neuqua’s advantage is clear. They are able to sub in great players, so even when Johnny and Carver (shout out what what) rest on the sidelines, those 7 on the line still run a tight game. Neuqua is a very deep team, and I’ve been impressed with that every season. 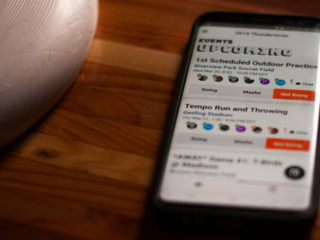 You have to commend their team for their dedication to the growth of the sport (I mean, a school with 150 kids playing ultimate is AWESOME) and sheer talent. Not only do I enjoy their personalities off the field, but under the leadership of their core members they play some fine ultimate. Even under their “B” and “C” teams which most often get overlooked, there are solid handlers and young athletes who enjoy digging their cleats into the grass and running their hearts out for a potential deep shot. What more can you ask for? Neuqua has brought together a wonderful club full of style that will always stand top tier as long as coach Java and returning alumni continue to fuel youth ultimate. In multiple capacities, coach, Observer, friend and “consultant”, I have had many opportunities to see both of these teams play both with, and against each other. The best way for me to describe this fierce rivalry is this: I have no idea which kid is on which team. Besides lining up on different sidelines during their games against each other, these players are all friends. They keep things tight on the field, increasing their level of play when they meet, but as soon as the final goal is scored, they immediately go back to being friends, and are often times teammates on Team ILL. These are the type of rivalries Ultimate needs. It is like the BoSox/Yankees, Cubs/Sox, Hodags/CUT, but without all the theatrics and poor sportsmanship that accompany them. I have nothing but love for all the players and coaches of these two teams. These two teams are perfect examples of what two dedicated leaders, Java and Tony, can do for the sport of youth Ultimate. These teachers (really just big kids) literally built these programs from nothing. USAUltimate should hire both of them to lead their youth development. I played high school Ultimate in Illinois 8 years ago now, and we were just happy to occasionally play another team in some form of organized fashion. Now there is a legitimate league, a state championship (I played in the Wisconsin State Championship my senior year…) and a true sense of community being built into the Chicagoland area for high school players.